Drivetrain: The R3 Single Speed Transmission comes with a tough cast metal case and wider gears to allow for more abuse along with a Delrin Spur with Slipper Clutch. 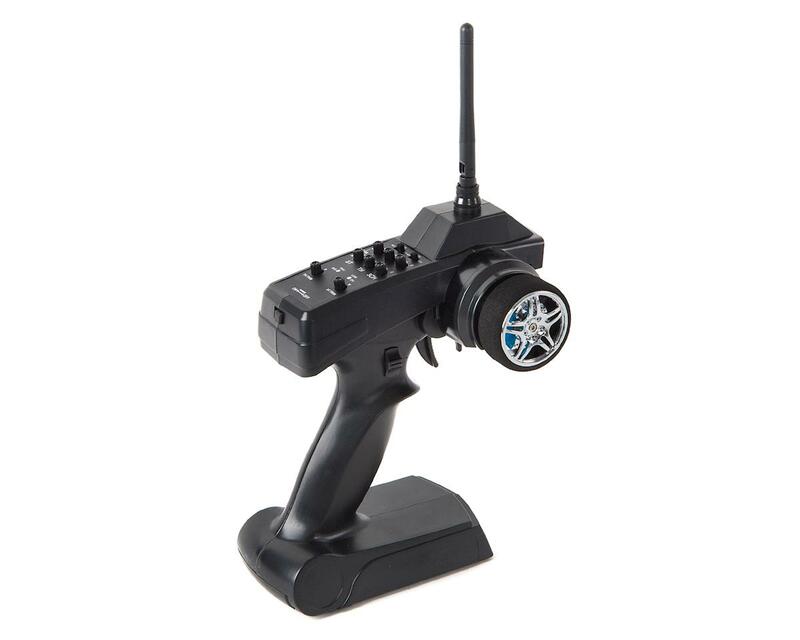 It also features a sturdy billet aluminum motor mount for durability. The TF2 LWB RTR includes the Hammer Transfer Case. Packed with scale detail, the case features a cast metal exterior and the same heavy duty .8 Mod Widened Gears for durability. Drawing on the success of the RC4WD MOA gear sets, the TF2 LWB RTR Drivetrain has the most durable gears RC4WD has to offer so the TF2 LWB RTR can stay on the trail, day after day. 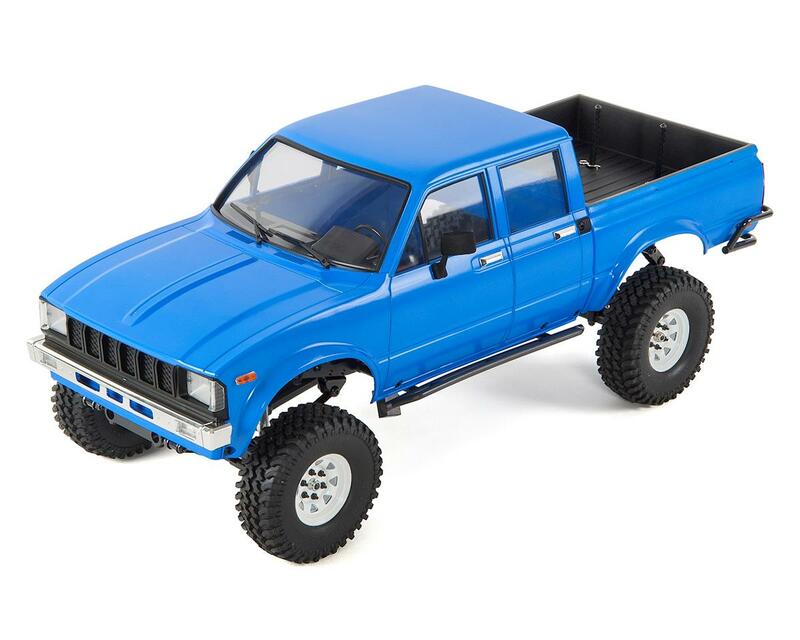 The most scale accurate axles on the market, the RC4WD Cast Yota Axles feature innovative round knuckles, lower mounting points and compact offset pumpkins. The Drive Shafts for the TF2 LWB RTR are a design featuring bulletproof steel universals and a high quality plastic shaft for great driveline angles and durability on the trail. Suspension: The TF2 LWB RTR Chassis features a molded fuel cell that doubles as an electronics storage box and an aluminum, frame mounted under cab electronics tray for multiple mounting options for your electronics. 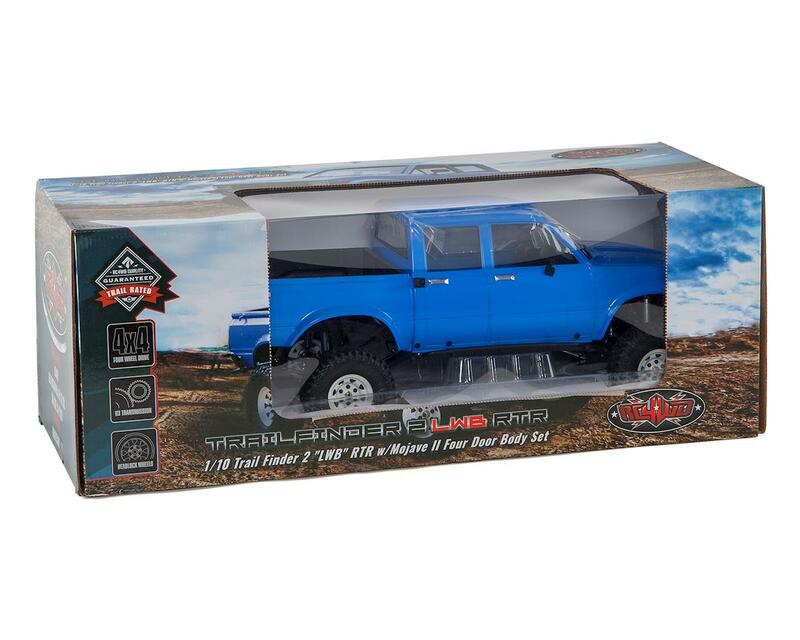 The TF2 LWB RTR includes a set of RC4WD Ultimate Scale Shocks. These shocks are designed for ultimate scale looks and optimum performance. They're machined from billet aluminum, are internally sprung and are completely rebuildable! The TF2 LWB RTR Chassis is a machined billet aluminum ladder frame design with leaf springs, scale shock hoops, chassis servo mounts and hard body mounts for maximum strength. The TF2 LWB RTR includes a set of RC4WD White Stamped Steel 1.55" Internal Beadlock Wheels. These wheel offer a super tough paintable white finish, aluminum internal ring and popular 6 Lug design. Every TF2 LWB RTR needs a tough set or rock grabbing tires and the included Mud Thrashers in X3 Compound deliver the traction as well as perfect scale looks in just the right size. The Details: The Mojave Body Set includes add on windshield wipers, mirrors, marker light details and door handles for the ultimate in scale looks. Realistic dashboard decals come pre-installed. The Body features late model style square headlights, chrome bumpers and a redesigned shape of the classic 4x4 body style. The redesigned shape is more accurately proportioned and offers better details. The Body Set includes a great dropped bed molded directly into the body. It's perfect for carrying all your scale accessories or spare wheel and tire! The RTR also includes RC4WD officially licensed Marlin Crawlers injection molded Side Sliders, along with front and rear tube bumpers. The Marlin Crawlers Front Bumper has a winch mount platform built in to accept any of our RC4WD licensed Warn Winches!